Template based core training to make sure you are not missing anything and you’re not wasting time with duplication. The chart below is an example of a beginner template that helps improve core strength, flexibility, and responsiveness in three planes of motions. It also couples intentions behind the motions with the appropriate contractions. The sagittal plane – This plane includes all forward, backward, up and down movement variations. The frontal plane – This plane includes side to side movement variations. The transverse plane – This plane includes rotational motions. 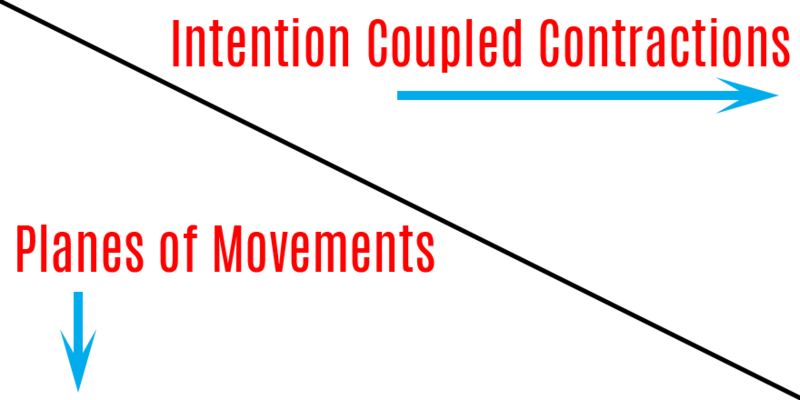 Initiate Motion – Concentric contractions are used to initiate and speed up movements. Stop Motion – Isometric contractions are used to stop motions. Resist Motion – Eccentric contractions are used to resist and slow down movements. This three by three template creates nine variations of exercises you can use to build your core. This template also serves as the foundation for intermediate and advanced routines.